Hizero is an innovative new brand dedicated to designing smart products that make cleaning quick, easy and efficient. Inspired by action of pet eating with years’ research and observation, Hizero Bionic Cleaning Technology came out and we created the world’s first dual-use and self-cleanable floor cleaner called HIZERO. It is a smart cleaning system tool that integrates our cleaning process from four steps to only one. We need not sweep, mop, dry, and finally clean tools, instead, we use HIZERO to finish all our cleaning work in one easy step within several minutes. Hizero Bionic Cleaning Technology and our product HIZERO get attentions from all over the world quickly in 2016. Famous enterprises from Germany, Europe, and America have a win-win cooperation with us. HIZIRO also performs very well on CES and IFA international exhibitions. We are starting at ground zero and taking cleaning into the era of High Technology with the Hizero Bionic Cleaner. This appliance is leading the way into the future and make your cleaning efforts more efficient. Both solid and fluid household wastes can be cleaned and separated into two tanks simultaneously. A dual-tank water system keeps the roller clean throughout the cleaning process. Clean up various complex household wet-dry wastes in only several minutes. 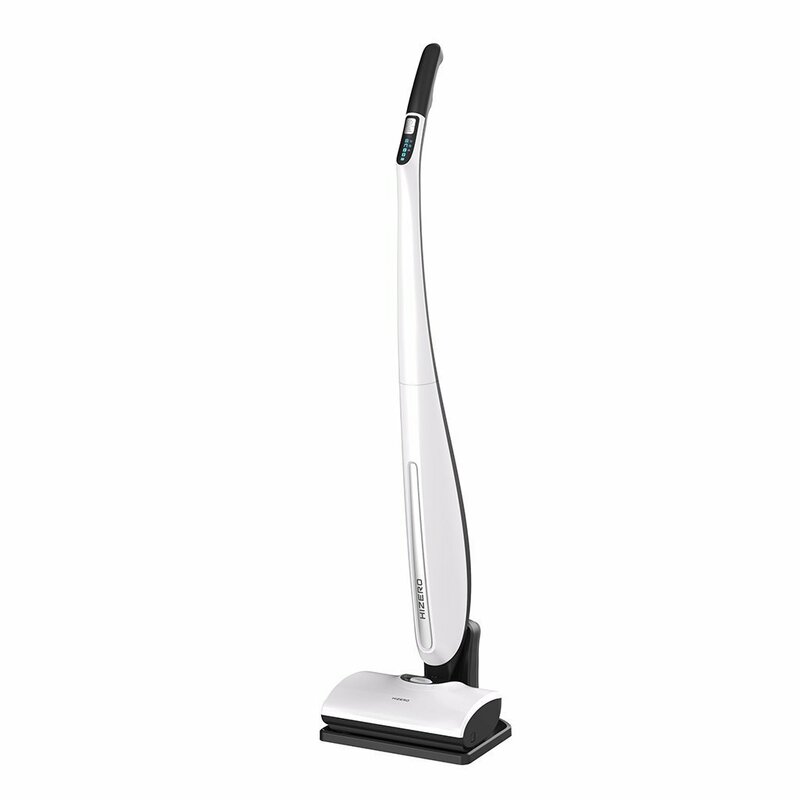 Combine sweeping, mopping, drying, self-cleaning into one convenient smart appliance. Simple cleaning in one easy step. HIZERO can work up to 80 minutes and only needs 4 hours for full charging. OCP, SCP, OHP also makes it durable. Compared with traditional tools, HIZERO saves much more on time and water when cleaning, especially have a remarkable effect on noise-reduction. Besides its powerful cleaning ability, HIZERO is compact and eye-catching. It can be put anywhere and will not occupy much space. The world’s latest high technology smart cleaning tool. The first solid-liquid wastes separation cleaner. 4 in 1 function. Can finish all cleaning work in one easy step. Innovative self-cleaning system. No need to wash after use. 80 minutes working time with 100% charge. A great homogeneous competition for any clean tool. Can not separate solid wastes from fluid wastes. Single function. Can not finish all cleaning work by a single tool. Can not be self-cleaning. Need to be cleaned after use. 30 minutes working time at most under full charge.